Okay so this is what I spent my morning doing. I changed her sword from a cutlass to something a little more appropriate- even though the first thing she'd do at a hint of trouble is to drop that thing and kill everything. I'm glad I spent my morning painting this. No, I can't draw spaceships. No, I don't care. I just wanted to work on something for me for once; and I had a lot of fun doing so. Aw yeah, Pirates. I'm drawing more- but I just realized it means I have to draw another ship. Aw, drat, haha! 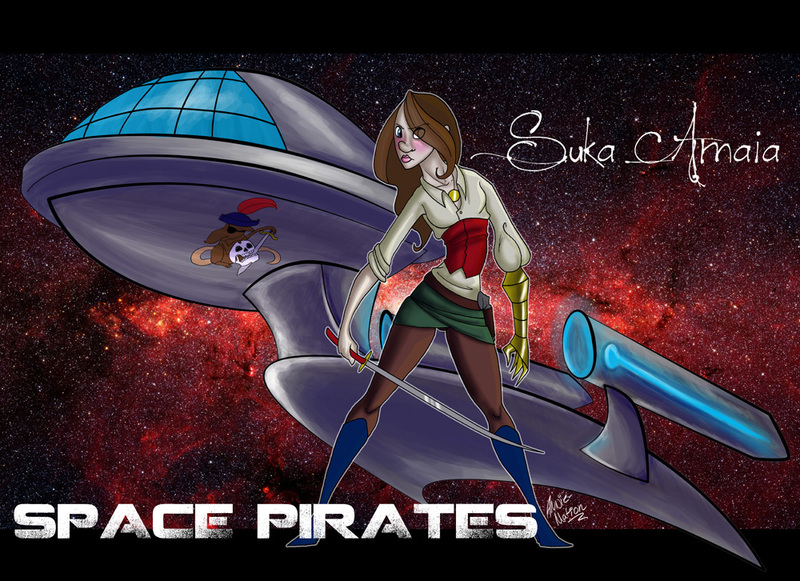 SPACE PIRATES. 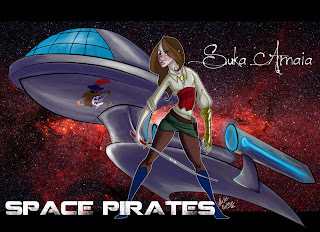 A TALE OF PIRATES IN SPACE.